I’ve always respected Ron Howard’s way of adapting his style to each project he shoots. I think it helps him get out of the way of the characters and story. 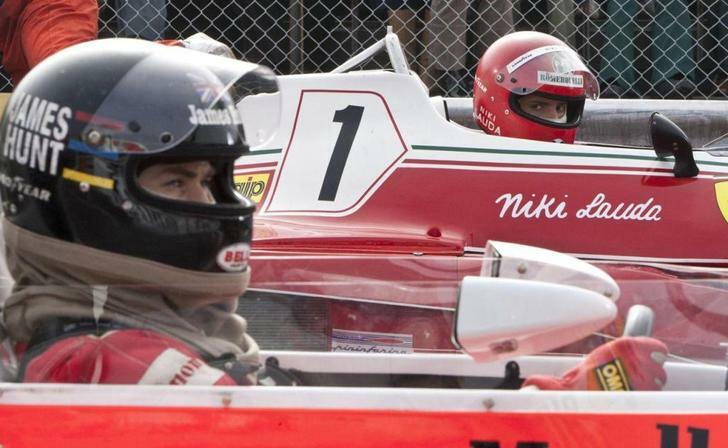 That’s an important point with his new film, “Rush”, which I really just flat-out adored. 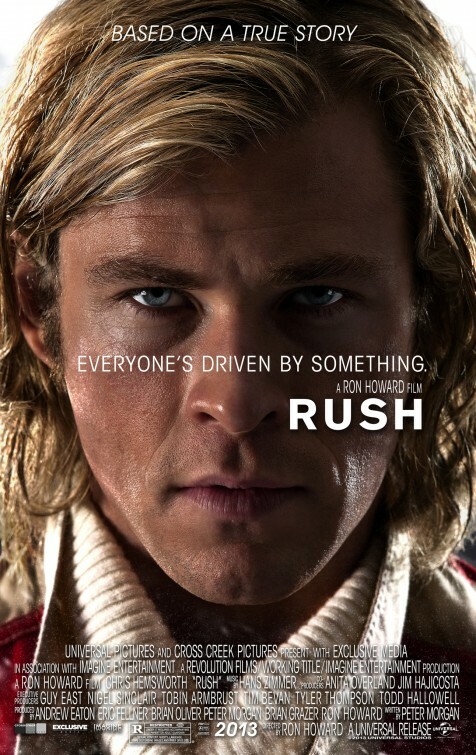 It’s being sold as a sort of adrenalin-rush racing film, and I wouldn’t call it that, at all. 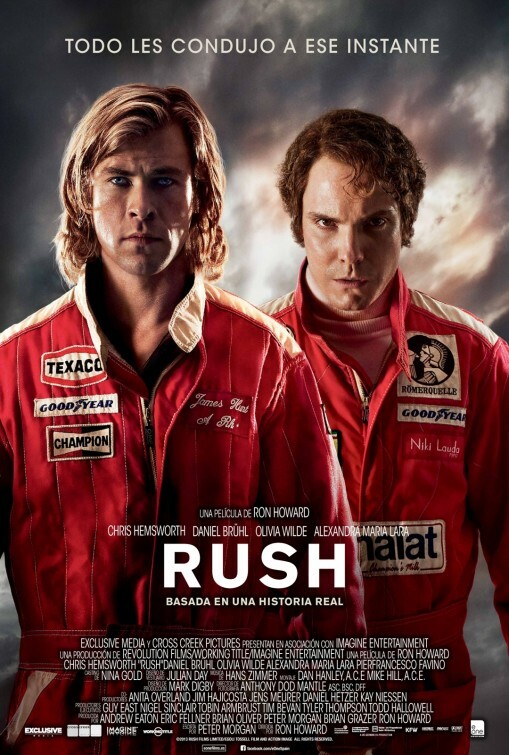 It’s a character study of two men who were locked in a Formula One racing rivalry in the mid-70’s. 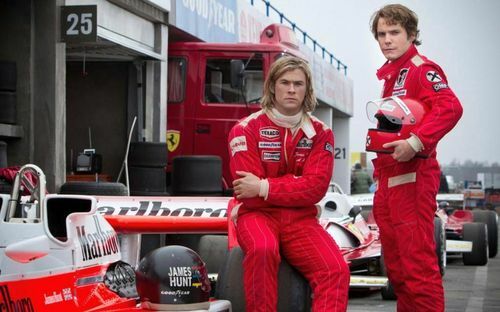 James Hunt (Chris Hemsworth) and Nikki Lauda (Daniel Bruhl – who is, flat-out, Oscar worthy), if the film is to be believed, had a deeply intertwined and compelling relationship. Lauda served as a consultant on the film, yet he is portrayed in a fairly harsh light, so…I feel the ring of at least emotional truth here. Much like “Warrior”, a mixed martial arts film I truly wish had reached a wider audience, the racing scenes are used primarily to illuminate the characters. They’re exciting and powerful, with a couple of really horrifying crashes, but Howard and screenwriter Peter Morgan (“Frost/Nixon,” “The Queen” and “The Audience”) continually bring the focus back to the characters. Who will win is important not because the story hinges on it, but because the characters have hinged their lives on it. It becomes apparent that, in racing each other, they’re really battling with themselves. There is a bit of a misstep in the coda, where a voice-over basically just spells out a relationship that was completely obvious from the performances and the film, itself. It’s unneeded, and the information imparted about the men’s later lives would be just as effective in a title card. The brief use of actual footage and pictures of the two men – the sort of thing that just made me livid in “What’s Love Got to Do With It?” – for example, didn’t really irk me here. In fact, I was sort of excited to see what Lauda actually looked like. Bottom line, it’s a terrific film that transcends being a “racing movie.” I’d call it my favorite film of the year, so far, bearing in mind that I haven’t seem “Gravity” yet. Highly, highly recommended.